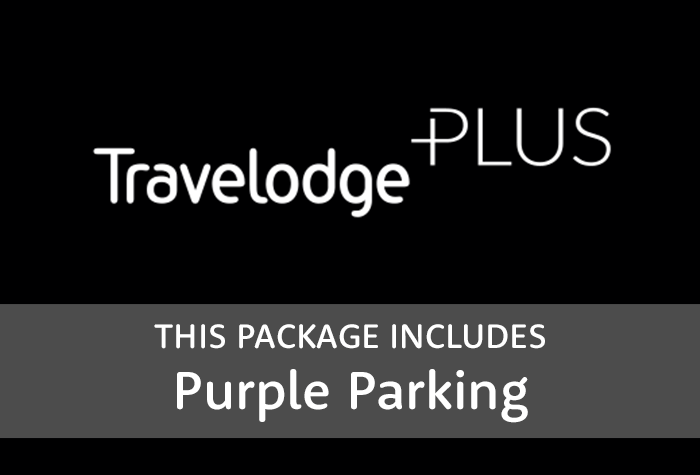 For fantastic value airport hotel at Gatwick, you can't beat newly refurbished Gatwick Travelodge with parking at our customers' favourite car park - Purple Parking. It's a hotel name you know at an affordable price, just a mile from the airport. Best of all, the hotel has a friendly bar/cafe with prices you won't believe! Even with Purple Parking's great parking package included, you'll still save. Very smooth process from booking right through to flying. Lovey hotel and secure parking. Have already booked are stay and park through Holiday Extras for next year. We booked the Gatwick Travelodge and expected to leave the car at the hotel. Instead it wasnâ€t till after we had booked that we realised that we had to drive the car to the Purple car park, which was on the exact opposite side of the airport, instead of just catching the hop-on bus. the PP pickup was slow and it must have taken 30 mins on the bus to get back to the car park.j I will not be using this hotel/parking again. Our customers rated Travelodge on average 8/10 (253 reviews). 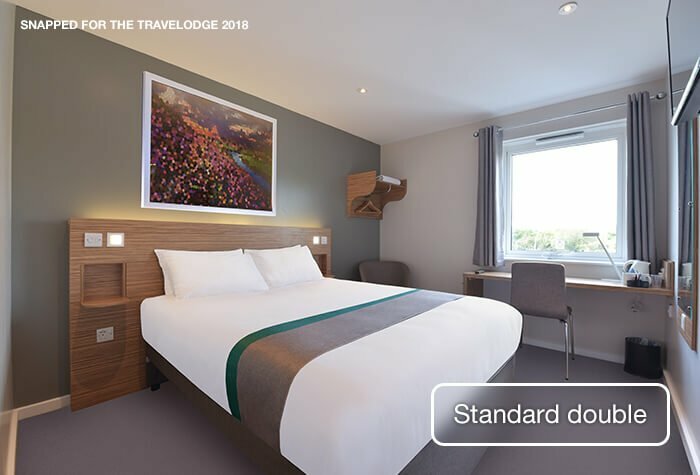 Read Travelodge reviews. 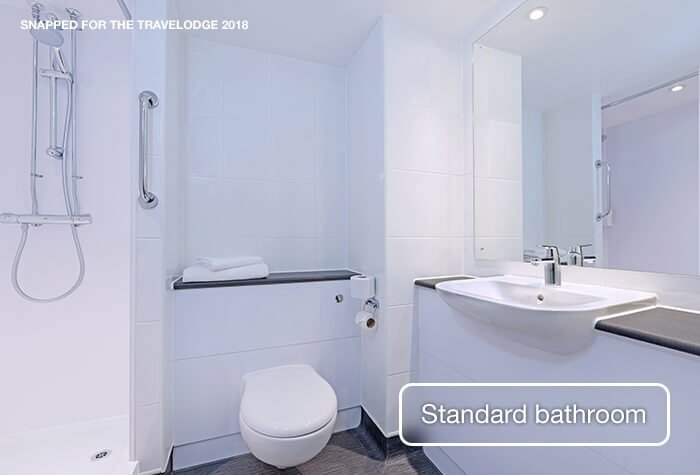 Spacious, bright rooms with a king-size bed and shower in the en-suite bathroom. Park overnight at the hotel (this costs £15) and drive to Purple Parking in the morning - you'll need to leave your keys as they'll park your car for you. To get to and from the car park you can use the shuttle bus which is included in the price. The Travelodge Plus is a 7-minute drive from the north terminal and a 9-minute drive to the south terminal. Driving instructions and a postcode for satnavs will be on your confirmation. Check-in is at 15:00 and check-out is at 12:00. There are self-service machines at reception - give these a try for a faster check-in. Drive to the Travelodge Plus and park in the hotels car park overnight. The hotel dont own the car park, so overnight parking costs £15 per car. The car park is regularly patrolled and accessible spaces are available. On the morning of your flight, drive to Purple Parking - 15 minutes from the airport by free shuttle bus.The car park has a height restriction of 2.1m and cannot accept minibuses, mobile homes, lorries, caravans, high-sided vehicles or trailers. Wifi is free for the first 30 minutes and £3 for 24 hours. 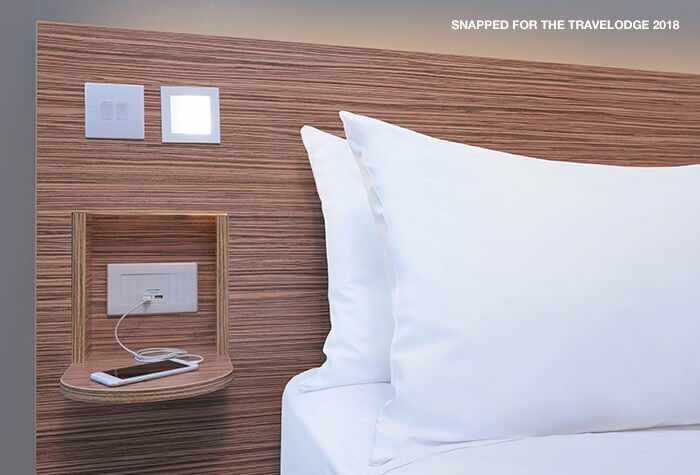 Our customers have said it can be fairly slow, so we recommend asking for a room with good connectivity or using 4G on your mobile. 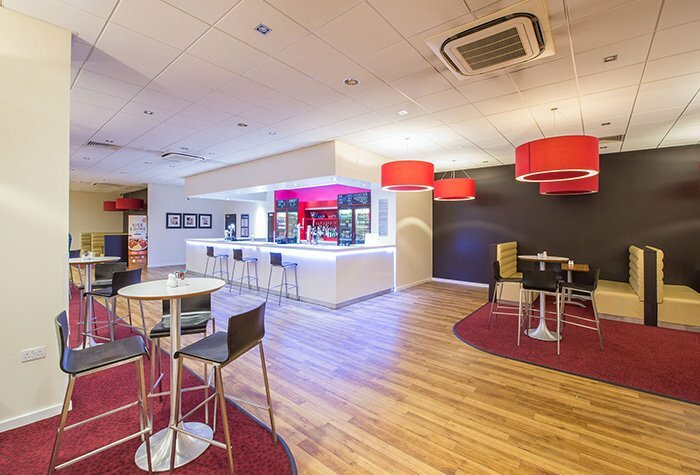 The hotels cafe bar serves pub favourites like lasagne, burgers, curries and pies, as well as lighter options like jacket potatoes and baguettes for lunch. You can get a selected main and soft drink for £9.95, or any 2 courses plus a drink for just £12.95 per person. Theres a menu for little ones too, with 2 courses for just £4.95 per child. Food is available every day from 17:00 until 22:00. The cafe bar also serves hot and soft drinks, beer, wine and spirits from 08:00 until 23:00. Fill up on breakfast to save spending at the airport - its just £7.95 per person for an English buffet or £5.75 for a continental one. Even better, 2 children under 16 can eat free with each paying adult! Breakfast is served from 07:00 until 10:00 during the week and from 08:00 until 11:00 at weekends. - The hotel has ramps and is easily accessible for wheelchair users. - Accessible rooms have hand rails, grab bars and wet rooms. - If you would like to request an accessible room please call Holiday Extras before you book. Disabled facilities The hotel has accessible rooms, which have handrails, grab bars and wet rooms - if you would like to request an accessible room please call Holiday Extras before you book. The hotel has ramps and is easily accessible for wheelchair users.